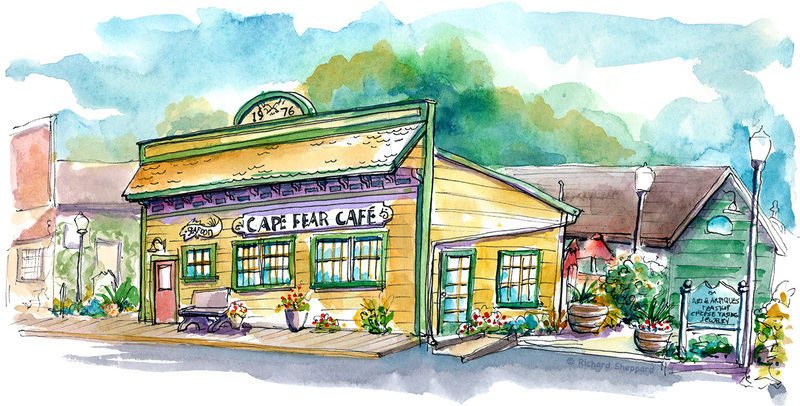 Cape Fear Cafe, located in the tiny town of Duncans Mills, California, has been a local hot spot for 20 years. The food is great and includes sandwiches, omelettes, soups, salads and much more. Although the café is a destination unto it’s self, there are many shops to purchase souvenirs, gifts, and house hold items. 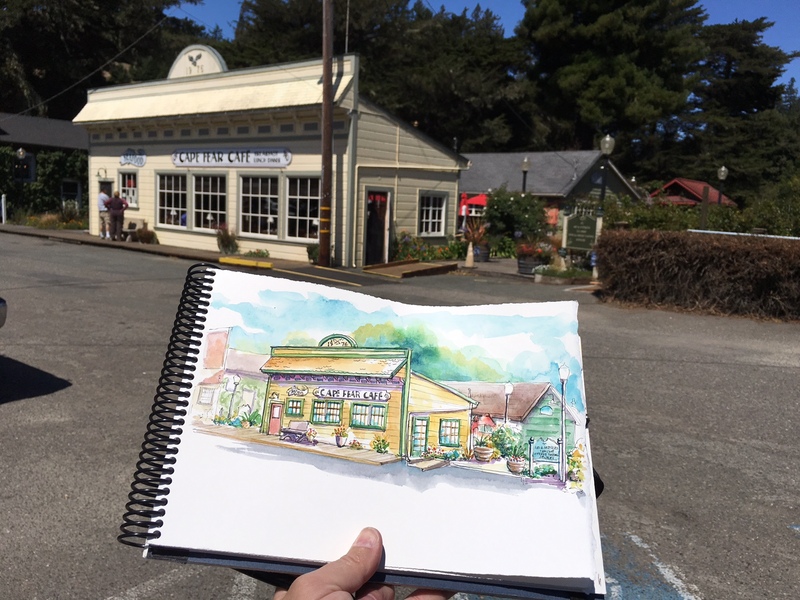 I spent my time sketching, of course, until the smell of grilling meats lured me indoors for a grilled chicken sandwich and a pile of fries. 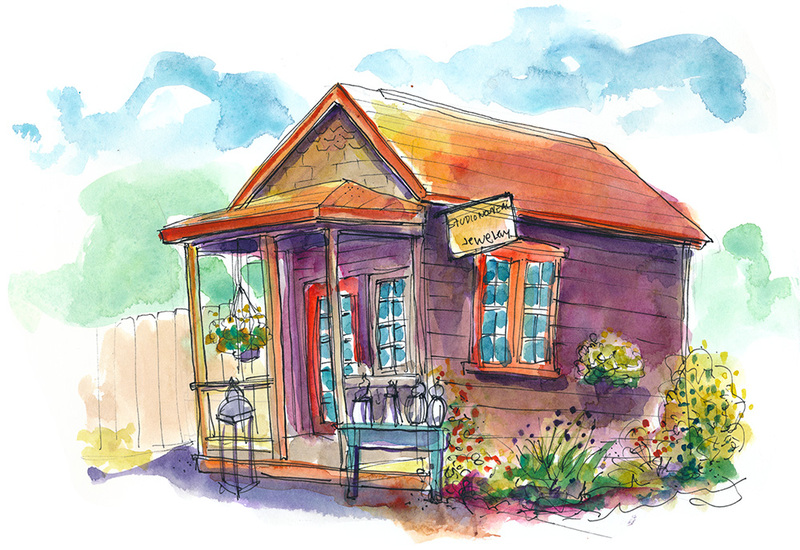 A quick second sketch done of Studio Nouveau in Duncans Mills. August 13, 2016 August 14, 2016 Richard SheppardComments are off for this post.